Bought one fresh uk ip few hours ago and all is set. Very easy to set up. Great one to have. Hi, we have Canada Fresh IPs. ANy dicount for 4 ips? Sure, we can do discounts for multiple IPs. Can I switch between multiple accounts? If I have 2 ebays and want 2 dedicated VPNs, is there a way to quickly switch the IPs in the icon tray? Or do I have to change all my VMware settings for their own IP service and not run off of my main system IP. Hope I made sense. If you PM me your order details I'll set you up as Subscribed [VIP] as a bonus. I bought today and iam very happy, very very HIGH quality of the ips. Will be ordering more soon. thanks! I just signed up for IPBurger yesterday and it is absolutely FANTASTIC!!! 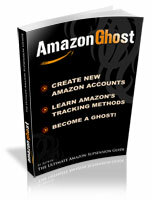 It works flawlessly with eBay & all other websites I've been to (Google, Youtube, Amazon, ect). It's fast, secure & pretty affordable. Awesome! Thanks for your feedback. Pm me your order details and I'll set you up as subscribed VIP! only with boxes , i think.